← Circling – Shoulder mobilization. 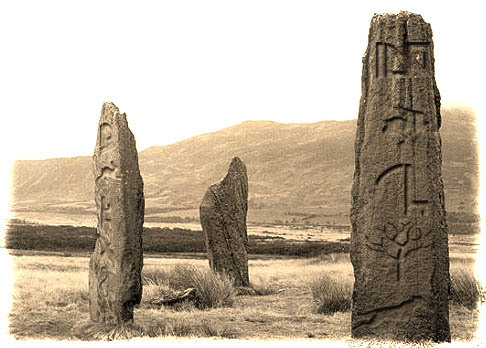 The “Tribe Standing Stones” under scrutiny? The alleged “Tribe Standing Stones” are up for debate again. Murmuring’s within the empire senate regarding the authenticity of the rock have yet again surfaced. Would clarification of the origin of the Tribe physical prayer be a boon to the fitness exercises continued use or hinder them? The artifact scribes have been asked to allow an independent testing of the sigils (only the secondary and tertiary markings can be seen here). This would allow for impartial authentication of the markings and delve once more into the history. The main proponent of this quest is the newly elected Church Council member Alderman Jack. Alderman Jack brief, yet succinct quote is as follows, “It is our duty as Torqueadians to delve into our history and confirm what we believe to be true”. Well this writer enjoy’s the history’s whether true or not. I do believe that the world would be a duller place without stories of Torque and the eighty warriors thwarting the Eresh–ki horde of Flesh wearers. We will be following the findings closely with kind permission of Alderman Jack.